There comes a certain age when kids become fascinated by magic. We’ve just hit it in our house, and my awestruck son recently explained to me that the magician at a friend’s birthday party “just made the guinea pig come straight out of his hat!”. (I must admit, even I wondered how that had happened). If you have a budding David Copperfield on your hands, we’ve found just the thing to keep them amused and provide the fodder for hours of magic shows. 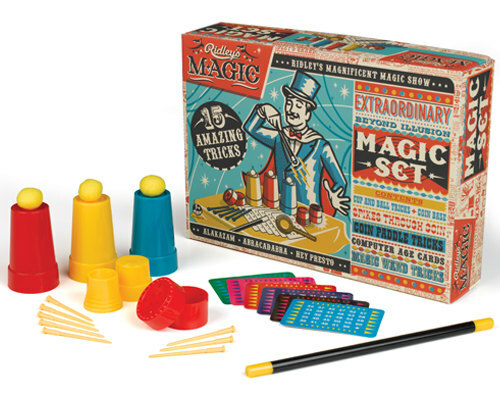 It’s the Ridley’s Magic range, brand new on the shelves in April, and it will give magicians from age three and up plenty of ammunition! 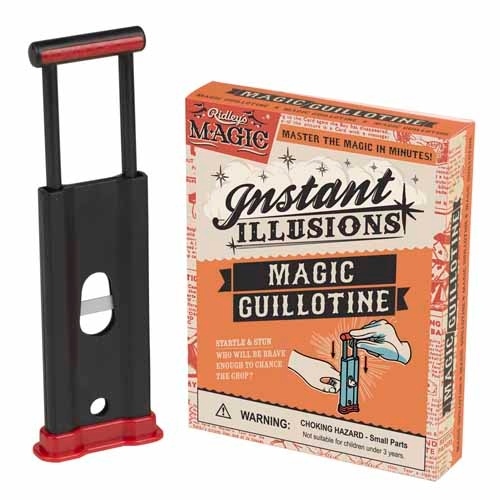 There are ten different kits in the range – some are classic illusions (the magic drawer, the floating match), while others are larger kits containing up to fifteen tricks and everything your mini illusionist needs to learn to perform them. Contact the Australian distributor Until directly for details about stockists – the kits range in price from $9.95 to $29.95.